Hi, my name is Tim Perry, I am 59 living in Bristol in the UK. 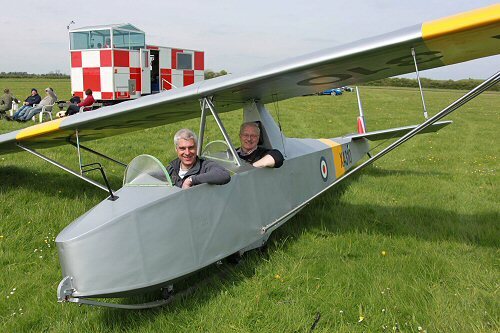 I grew up making Airfix kits, and like thousands of other young people in the UK I learned to fly with the Air Training Corps, in a Slingsby T31b Cadet two-seat glider. Since then, I have often wondered why there wasn't a good plastic kit of this aircraft, as I would certainly buy one! So, as it seemed the traditional kit makers were not going to tackle this subject, I decided I would have a go. 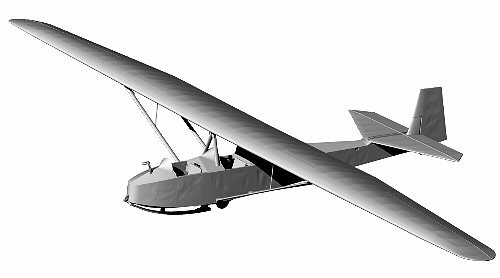 I hope there will be enough scale modellers, glider fans and especially anyone who learned to fly in these tough little gliders to make the kit viable. We are pleased to announce this project is under way again with the mould making and production being handled by one of the top producers in the field. More details as the project progresses! I have already done the bulk of the CAD design work, have made 3D printed prototypes to test the assembly, as well as designing most of the decal artwork. 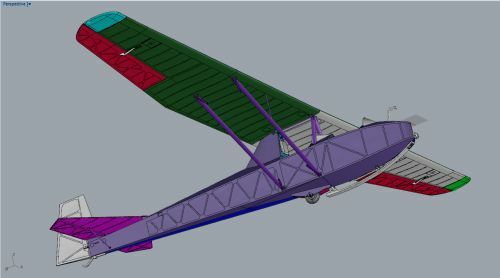 The CAD model has been based on original drawings and studying a real glider, XA310, which is still flying at RAF Hullavington. E-mail me to go on the Flying Start Models mailing list, and look out for more news as the project progresses. 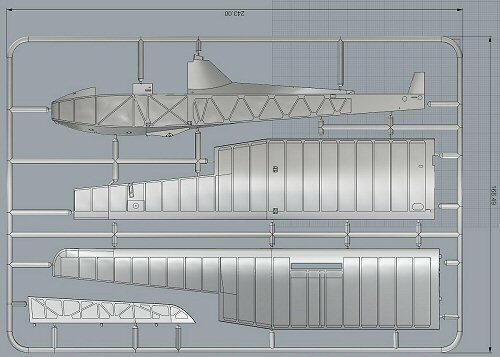 As you can see, all the hard design work has been done, and the 1:32 scale kit design is ready to go. We are now in discussion with a leading plastic kit manufacturer to produce this kit. Once test mouldings have been made and any subsequent mould alterations have been finished, the kit can then be produced in quantity, packed and dispatched by mail straight to you. Work has also been started on the box artwork, packaging, instructions and decals ready for the launch, but the mould will take the longest period to complete and is the single most expensive part of the project. This will be the next major milestone to achieve.